Norman Bel Geddes was one of the great visionaries of the twentieth century. 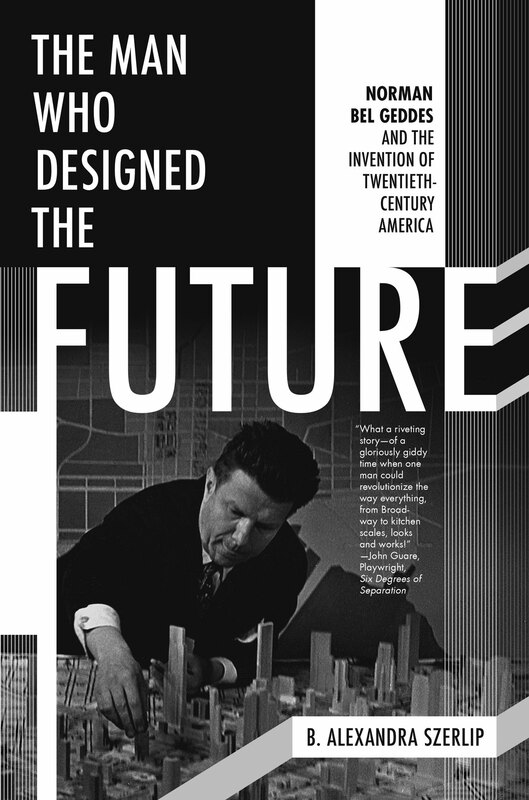 An industrial designer, known best for his contribution to the Futurama exhibition at the 1939 New York World’s Fair, Bel Geddes experimented with various mediums throughout his career, including stage design and consumer product designs. Bel Geddes is now considered one of the formative figures of twentieth-century American culture. 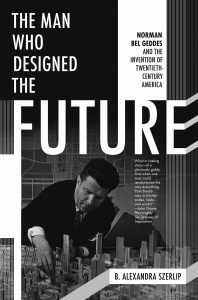 The Man Who Designed the Future: Norman Bel Geddes and the Invention of Twentieth-Century America (Melville House), the first major biography of Bel Geddes, is author Barbara Alexandra Szerlip’s long-time project. 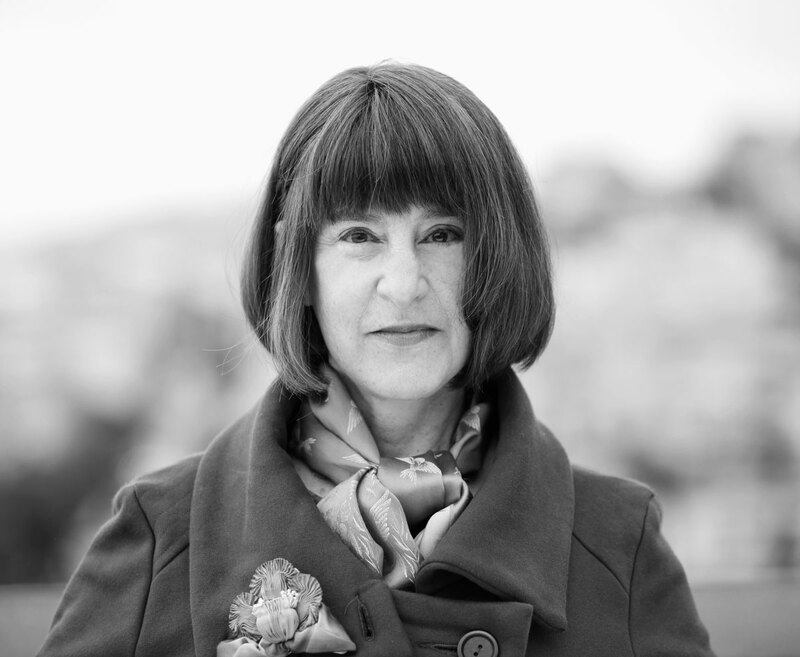 A two-time National Endowment for the Arts Writing Fellow and a 2012 Yaddo fellow, Szerlip conducted a great deal of her research using the Ransom Center’s Norman Bel Geddes collection. In anticipation of the release of her book on April 25, Szerlip granted the Ransom Center an interview. What initially attracted you to Norman Bel Geddes’s work? Very early one morning in 2005, I was walking through a flea market when I spotted what turned out to be a Bakelite Bates Index, grandfather to the Rolodex. In addition to its Deco lines, there was a moving red slash that indicated when you hit a particular letter of the alphabet. I was intrigued. It was a frivolous five dollar purchase; had it been eight or ten dollars, I wouldn’t have bought it. It ended up changing my life. Later, when I got around to examining it, I found Bel Geddes’s elegant logo etched into the bottom. The name sounded familiar but I couldn’t quite place it (actress Barbara Bel Geddes turned out to be one of his daughters). Other than that he’d been the force behind Futurama at the 1939 New York World’s Fair, there was very little on him on the internet at the time. His books were all out of print, and the only mention in mid-century modern design books was an occasional photo on his Soda King seltzer bottle or Patriot Radio. The more I kept running up against brick walls, the more intrigued I became. This is the first major biography of Bel Geddes. What light does his personal life and personality shed on his work? My definition of biography is how the life informs the work. He was, as I say in the book, “restless and shape-shifting, a pacifist fascinated by war, a naturalist who loved technology, a serious prankster, a pragmatic futurist, a private man who was rarely alone.” He was also very funny. I did get an offer for a book of photos with captions. I used the (admittedly inflated) metaphor that a book of photos would be like looking at Picasso’s Guernica without knowing anything about Picasso. Even Bel Geddes’s granddaughter asked me why I’d want to write about him. 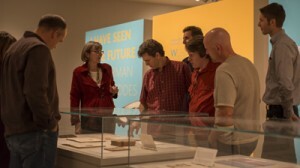 This was years before the Ransom Center’s I Have Seen the Future exhibition in 2012. Bel Geddes had his hand in so many different areas of American life. He was involved in the performing arts, urban landscape design, architecture and interior design, consumer products—you name it! Was there an interconnectedness between all of these arenas where he found his niche? Bel Geddes had an incredibly broad range of interests and he made little distinction between “work” and “play.” In terms of interconnectedness, his innovative theatre work—he designed some 200 Broadway shows, plus a couple of operas—turns out to have been essential to his industrial design work. His groundbreaking 1933 Oriole Gas Range, for example, was informed by a mechanism he’d created for a set design. What did Bel Geddes’s vision for American life say about the time in which he lived? Overall, I’d say he stood for optimism. His creative life was bookended by the Great Depression and two world wars. What collection materials from the Ransom Center were most influential on your research? Was there anything that surprised you? Where to start? I went in knowing about Futurama and a handful of consumer designs. I discovered that he also created a “girlie” burlesque show for the 1939 New York World’s Fair; designed an Elephant Ballet for Ringling Bros. Circus in collaboration with Balanchine and Stravinsky (and a “honeymoon suite” for Gargantua the gorilla); crossed paths with everyone from Frank Lloyd Wright, Amelia Earhart, and Margaret Bourke-White to Chaplin, Gershwin, Eisenstein, Cecil B. DeMille, and the Algonquin Roundtable; created elaborate “at home” games that eventually led to top secret military work during WWII—and that’s just the tip of the iceberg. I also unearthed two “major-minor” players in his story, both of whom I fell in love with—Richard (Ryzard) Ordynski and Rosamond Pinchot—two very different people who help to illuminate different aspects of Bel Geddes’s character. In the process, I believe I “solved” a 70+-year-old, headline-making, “unsolved” suicide and unearthed a hidden-in-plain-sight homage embedded in Hitchcock’s Vertigo (in which Bel Geddes’s daughter starred).